The Chimera is a small fixed blade knife from Heretic Knives made from a solid piece of flintknapping textured ATS-34 stainless steel. 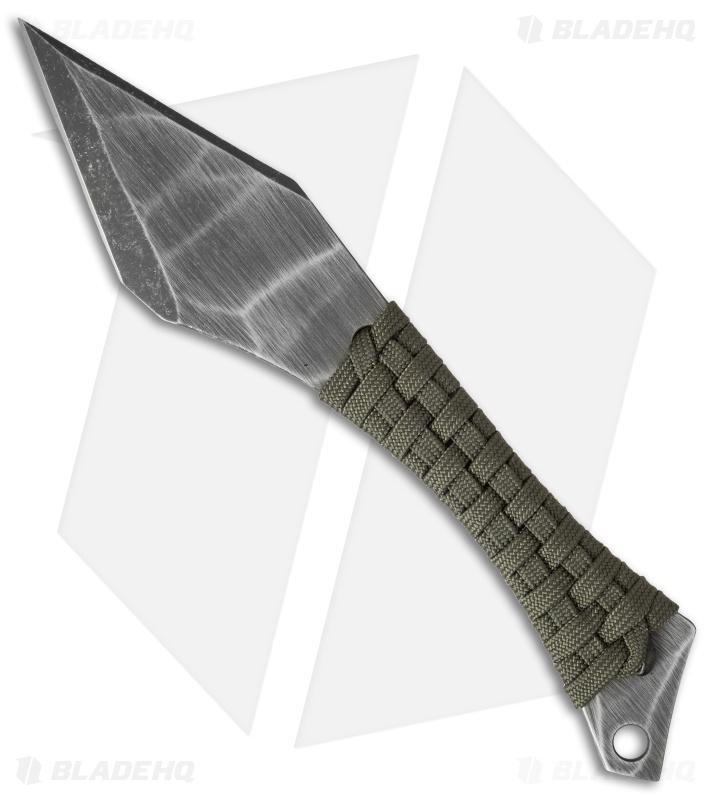 Its thin, chisel ground spear point blade comes razor sharp and has astounding piercing capabilities. A custom paracord wrapped handle provides a secure, no slip grip during use. 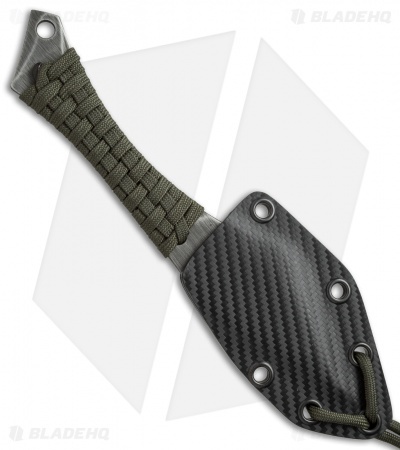 Includes a custom molded holstex sheath with matching paracord. 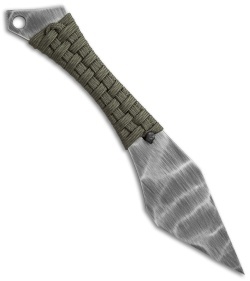 This knife has an acid wash finish and a green paracord wrapped handle.